Dissociation is an unexpected partial or complete disruption of the normal integration of a person s conscious or psychological functioning that cannot be easily explained by the person. Dissociation is a mental process that severs a connection to a person's thoughts, memories, feelings, actions, or sense of identity. Dissociation can be a response to trauma, and perhaps allows the mind to distance itself from experiences that are too much for the psyche to process at that time. Dissociative disruptions can affect any aspect of a person s functioning. 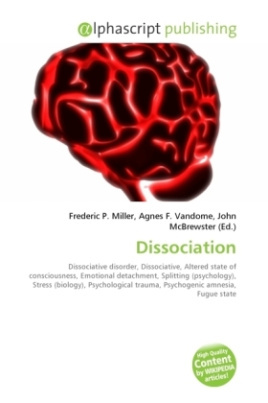 Although some dissociative disruptions involve amnesia, the vast majority of dissociative events do not. Since dissociations are normally unanticipated, they are typically experienced as startling, autonomous intrusions into the person's usual ways of responding or functioning. Due to their unexpected and largely inexplicable nature, they tend to be quite unsettling.